The Cliftonville Games 2018 was a fantastic success! We are now fundraising for 2019 and need your help to raise enough funds so that we can make this free community event bigger and better for 2019. We need to raise as much funds as possible so that we can continue to put on these fantastic FREE community events. If you could support our GoFundMe by making a donation and then sharing it with your network via social media , we would greatly appreciate it. We know that money can be tight, so please know that even £5 helps us get closer to our goal! GRASS had a really successful day at “Stronger Kent Community Fair” today in Ramsgate. The event was a great opportunity to talk with fellow organisations and volunteers. It was a great opportunity to network and meet volunteer groups from all over Kent. Looking forward to attending the “Stronger Kent Community Fair” tomorrow at JD Wetherspoon Ramsgate. Come chat to us at our GRASS table and learn more about our community events and projects. The BIG competition is on! At the end of April we held our launch event at the Cliftonville Farmers’ Market and, despite the chilly weather, it was a resounding success. A BIG thank you to those hardy Cliftonville residents who popped along to say hello and to sign up for the competition, many of whom I know were thrilled to receive some FREE plants to go in their garden! Please read on for further news about more free plants and discounts for ALL competition entrants…. Liz from The Secret Garden Florist has very kindly offered a 20% discount on all in-person purchases of outdoor plants from her fantastic shop at 174 Northdown Road in Cliftonville. All entrants will be receiving a discount card through their door very soon! If you pop along to The Garden Gate Project at Northdown Park Road, CT9 3TP and mention Cliftonville in Bloom, you can make up a few of your own bags of compost. This is ideal for the bottom of pots and planters to encourage your plants to grow! 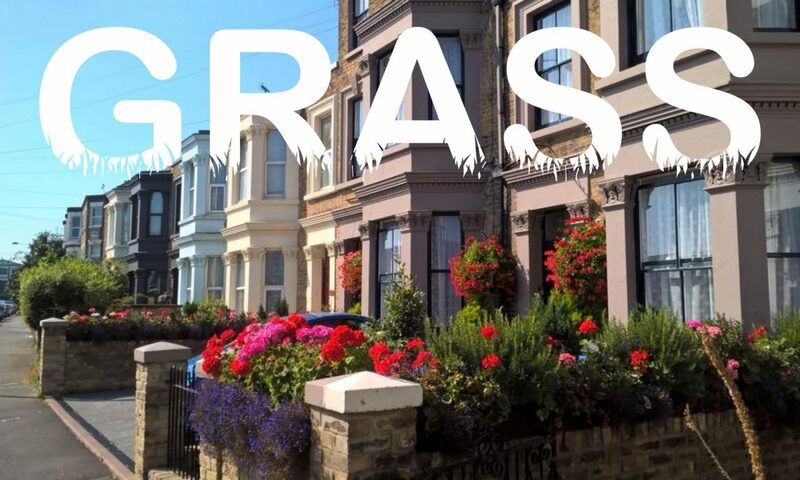 You can now support GRASS by taking part in the Thanet Community Lotto. Support local causes with Thanet Lotto and win with prizes up to £25,000!